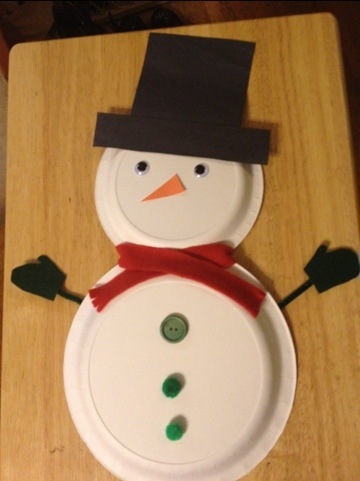 When my sons preschool sent out an invite and sign up sheet for a holiday party I just knew I had to sign up to bring the craft. 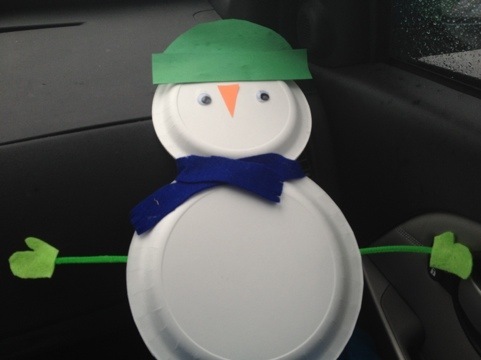 After a lot of thought and a brief conference with my three year old it was decided that I would bring a make your own snowman craft. My son was excited and so was I.
Here’s the breakdown of what I made ahead, what we bought and how it went. First I bought plain white plates in two sizes. The larger plate I cut just a little on one edge so that the smaller plate fit in. I hot glued the two plates together. Then I cut hats and noses out of construction paper. Then I made scarves and mittens out of scraps of felt. I cut pipe cleaners in half and hot glued one mitten to an end of each pipe cleaner. The things I bought and brought with me were buttons, pom poms, and googley eyes. 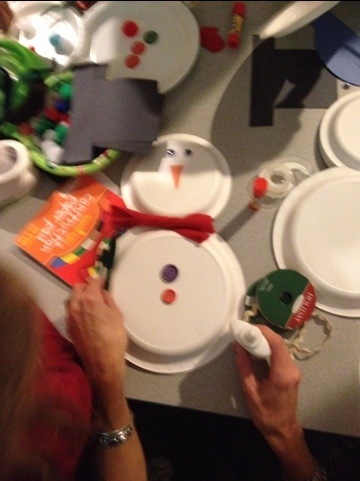 I also provided the kids with glue, tape, ribbon, hole punches, and scissors. The kids had a blast. 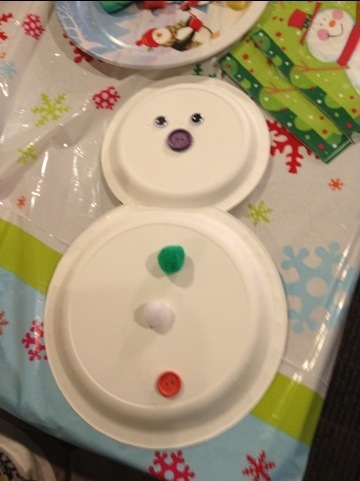 The parents and teachers were all impressed and best of all my son loves his snowman. Plus I have plenty of extras we can make more at home or with friends and family over the holidays.